Every now and then you come across a product that is so fabulous that you have got to share it with someone. Today I’m going to share with you a product that I think should be a must have for everyone’s kitchen. LEMI SHINE!!!! Mind you this is not something that is new to me…I’ve used it before. My mother and especially my sister swear by it. But I had walked away from it for a moment. Now I’ve reclaimed my love. So let me tell you what brought about this return to love. Towards the end of my time in the apartment, the dishwasher was starting to leave a film on my dishes. I actually had stopped using the dishwasher for about a month because I felt the dishwasher was broken. 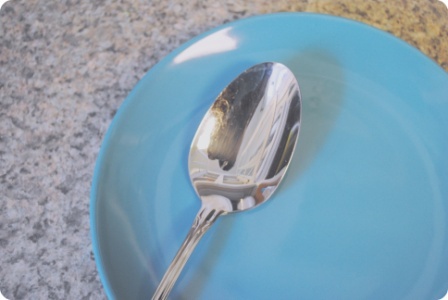 I got REALLY tired of hand washing ALL of my dishes (some I wash because you aren’t supposed to put them in the dishwasher: wooden spoons, my knives, the cast iron skillet). So I started putting things back in the dishwasher and trying to get them clean. I bought Jet Dry rinse aid and still ended up with the ugly film on the forks, plates, glasses, everything. I finally came across some Lemi Shine at Meijer. 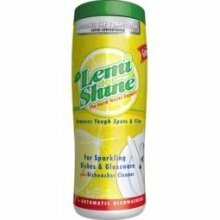 Now the thing that about Lemi Shine is, when you find where to buy it you need to get it. If you can, you should buy multiples. Never let it run out because you will regret it if you do. The first time I used it back at the house (The dishwasher was on the fritz for a minute, but Stan replaced parts last Friday so we’re back in business. I think I mentioned that we are under construction.) the clouds opened up and the angels sung a little song for me. I pulled out a glass and no spots, no film, just beautifulness. Then I pulled out one of the spoons…be still my heart. The final test was one of my blue saucers that had been covered with a film. 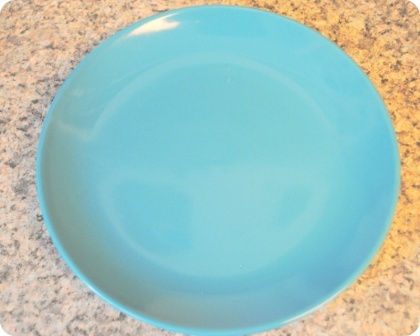 The saucer was shiny and clean and blue and filmless and just great! I’m telling you folks…if you get nothing out of this post; get this…..GO GET LEMI SHINE NOW! Tell your friends, tell your family, tell the neighbors.